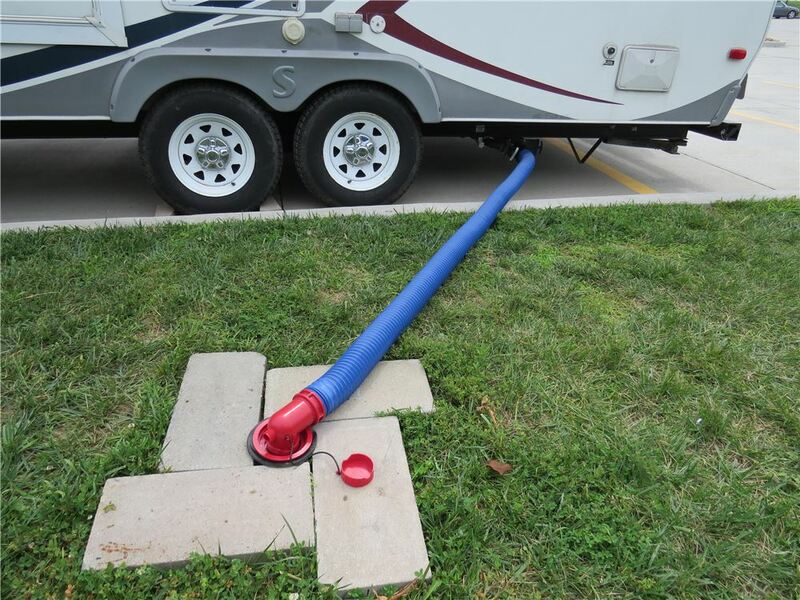 Sewer hose lets you drain your RV's black-water and gray-water tanks at a dump station. Bayonet fitting at one end twists onto standard 3" lug fitting on RV's waste valve. Adapters for other end sold separately. 8-Mil vinyl construction. 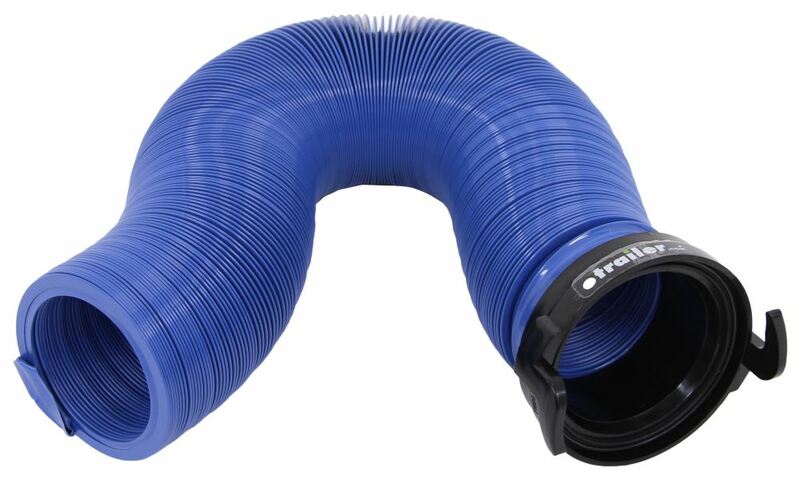 Lowest Prices for the best rv sewer from Quick Drain. 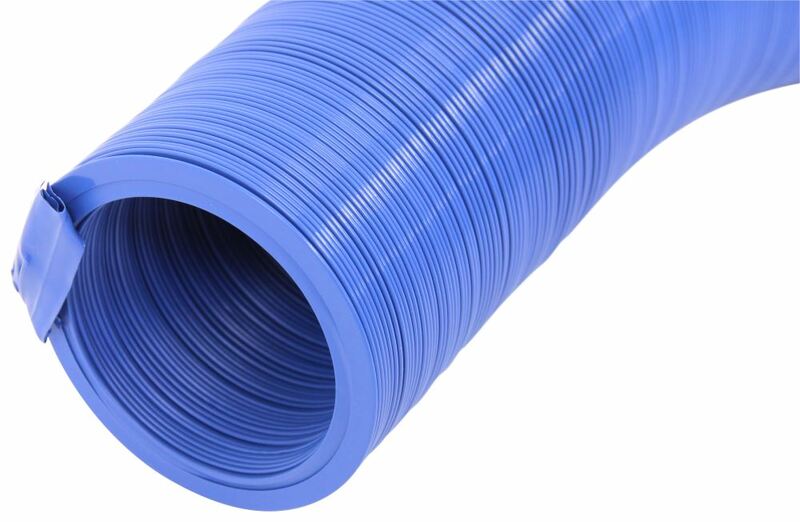 Quick Drain RV Sewer Hose with Bayonet Fitting - Blue - Vinyl - 10' Long part number D04-0120PB can be ordered online at etrailer.com or call 800-298-8924 for expert service. 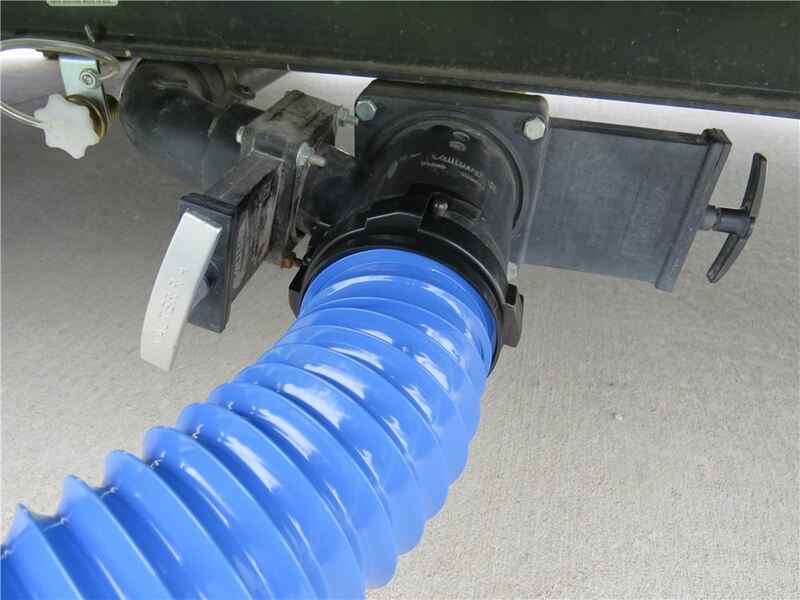 Sewer hose lets you drain your RV's black-water and gray-water tanks at a dump station. Bayonet fitting at one end twists onto standard 3" lug fitting on RV's waste valve. Adapters for other end sold separately. 8-Mil vinyl construction. Heavy-duty sewer hose lets you drain your RV's black-water and gray-water tanks at a dump station. Adapters (sold separately) are required for connecting to RV's waste valve. Sizing rings keep hose ends open. 18-Mil vinyl construction. 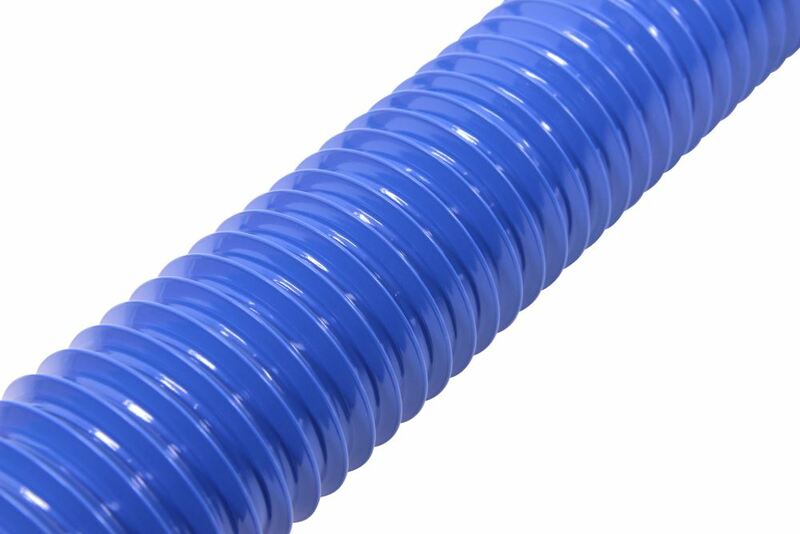 Threaded fittings convert a sewer hose with no fittings into complete hose with drain adapter. Bayonet fitting and 4-in-1 dump station adapter thread onto opposite ends of the hose. 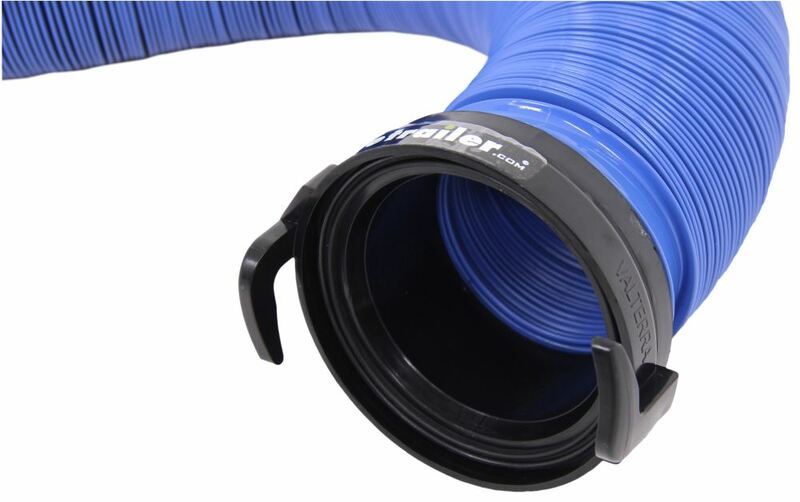 Coupler unites two separate sewer hoses to create a longer hose. 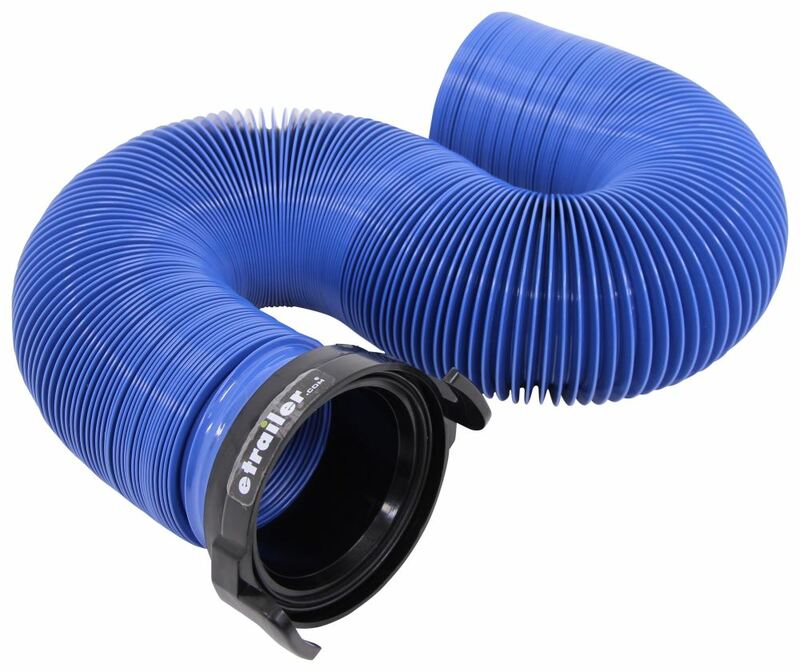 Today we're going to be taking a look at the RV Quick Drain Hose. This drain hose is going to measure about 10 feet long when it's fully extended. As you can see when it's not extended, it has a nice compact design and allows for easy storage. The hose is going to have a diameter of 3 inches. It's blue in color. One one end it's going to feature a Bayonet fitting with 2 points of attachment. You just connect it and then twist it to lock it into place. It's got a nice rubberized seal on the inside there to create a leak proof connection. It's designed to fit all standard waste valve systems. On the other end there is no fitting, so that's going to allow you to leave it as is, or you can add whatever attachment you need for your application. This will work with EZ Coupler fittings, those are sold separately, and it will accept other fittings designed for 3 inch diameter hoses. The hose itself it a nice strong, durable design. It's very flexible. It extends and retracts very easily. It's going to work well in hot or cold conditions, and it is designed to resist chemicals as well as corrosion. That's going to do it for today's look at the RV Quick Drain Hose. 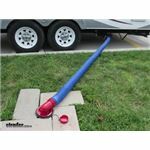 Order: RelevanceNewestRating - High to LowRating - Low to High Sewer hose lets you drain your RV's black-water and gray-water tanks at a dump station. Bayonet fitting at one end twists onto standard 3" lug fitting on RV's waste valve. Adapters for other end sold separately. 8-Mil vinyl construction.